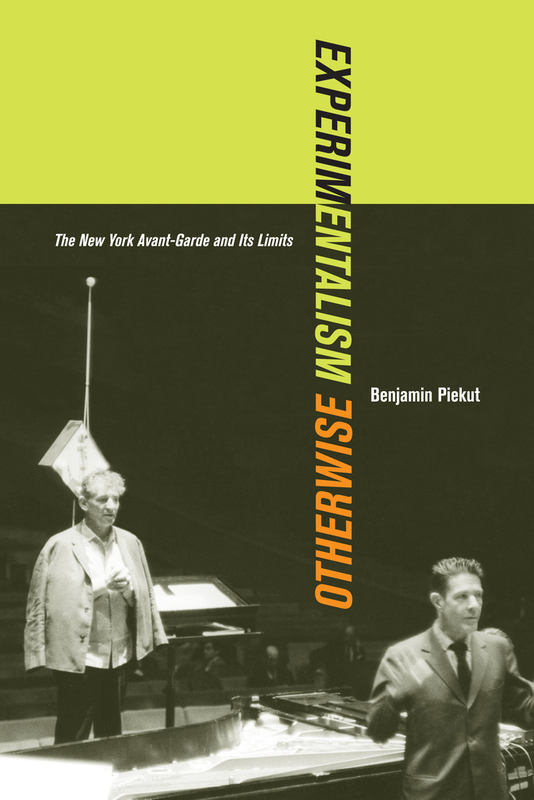 In Experimental Otherwise, Benjamin Piekut takes the reader into the heart of what we mean by “experimental” in avant-garde music. Focusing on one place and time—New York City, 1964—Piekut examines five disparate events: the New York Philharmonic’s disastrous performance of John Cage’s Atlas Eclipticalis; Henry Flynt’s demonstrations against the downtown avant-garde; Charlotte Moorman’s Avant Garde Festival; the founding of the Jazz Composers Guild; and the emergence of Iggy Pop. Drawing together a colorful array of personalities, Piekut argues that each of these examples points to a failure and marks a limit or boundary of canonical experimentalism. What emerges from these marginal moments is an accurate picture of the avant-garde, not as a style or genre, but as a network defined by disagreements, struggles, and exclusions. Benjamin Piekut is Assistant Professor of Musicology at Cornell University.